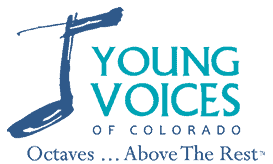 Thank you for helping us raise over $5000 on Colorado Gives Day 2017! Your donation helps us cover the $20,000 we give in needs based scholarships every year. 100% of your donation comes to us. By the way… you can continue to donate at any time during the year and Young Voices will receive 100% of the donation! Colorado Gives Day is presented by Community First Foundation and FirstBank.